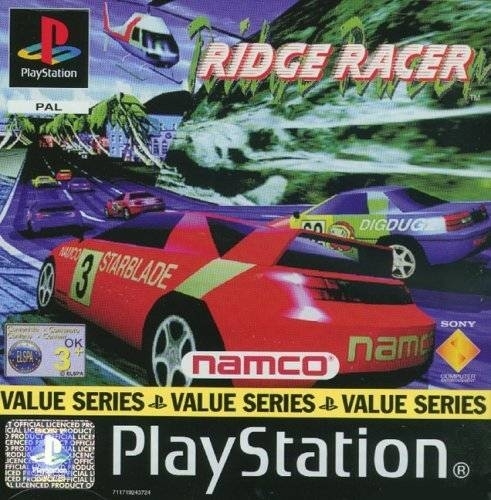 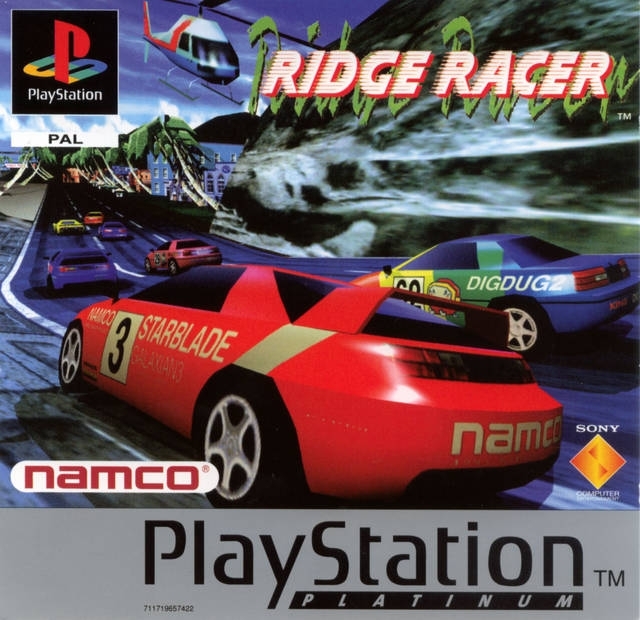 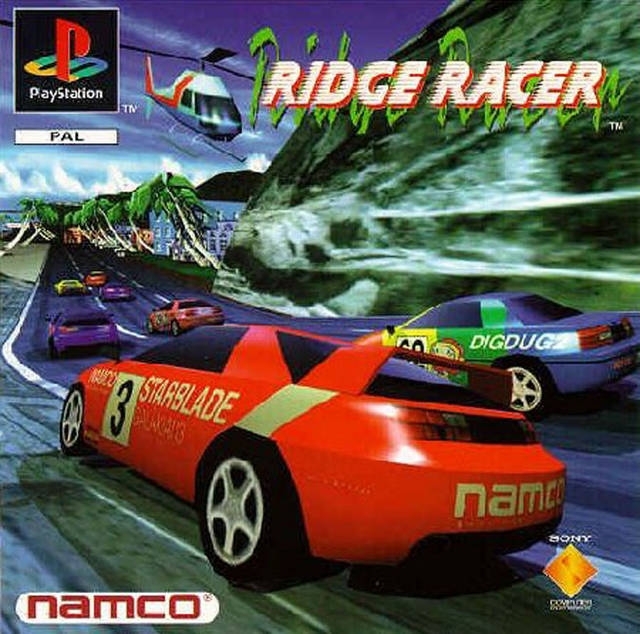 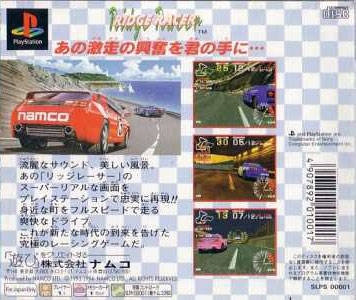 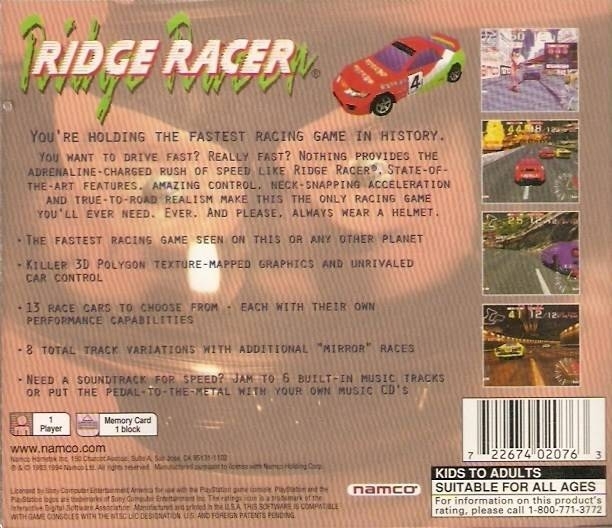 Ridge Racer is direct port of the arcade game that features a variety of cars and high-speed racing through beautiful scenery and long tracks. 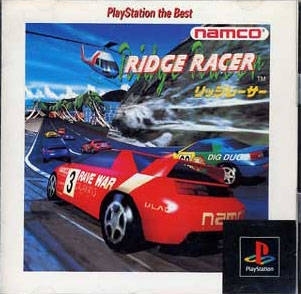 Once you finish the normal courses, more challenging stages will open up. 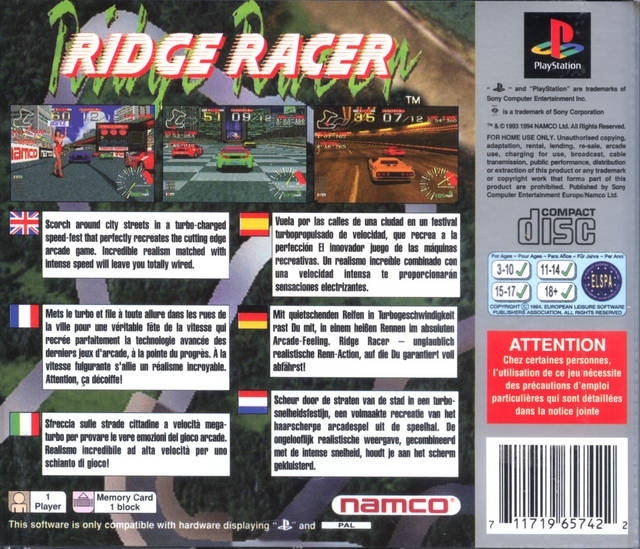 This game launched with the PlayStation and showed that the system was more than capable of producing great 3D graphics with fast frame rates. 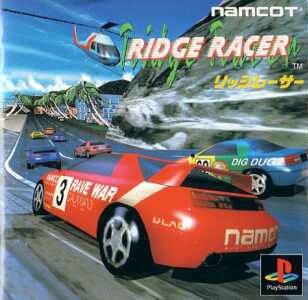 It's Ridge Racer!! 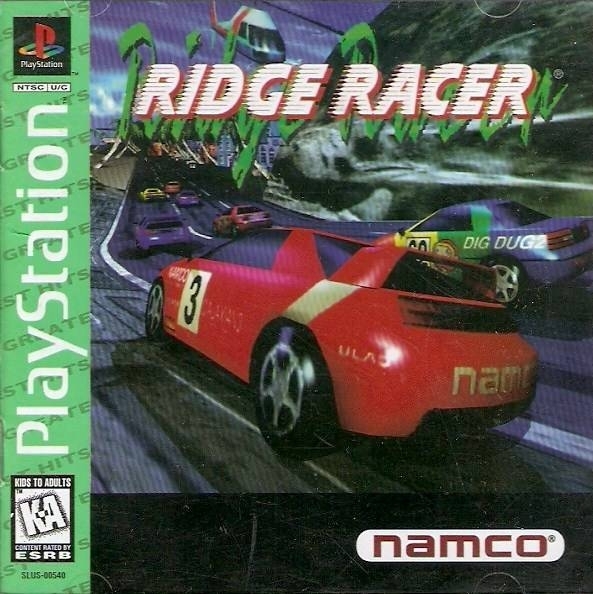 RIIIIIIIIIIIDDGGGEE RAAACCCEEEERRRRR!!!! 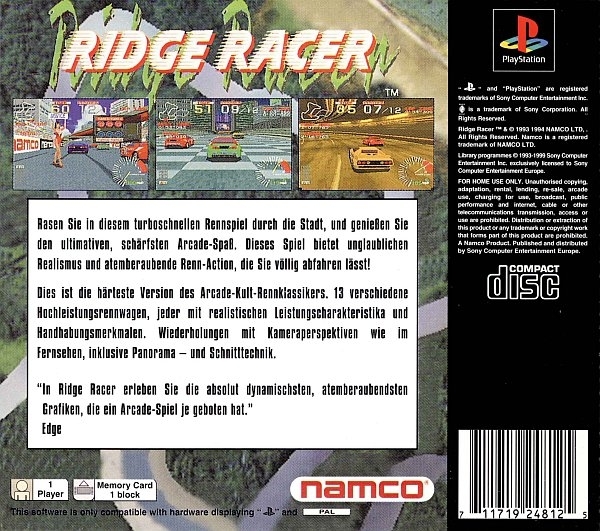 My first PlayStation game ever! 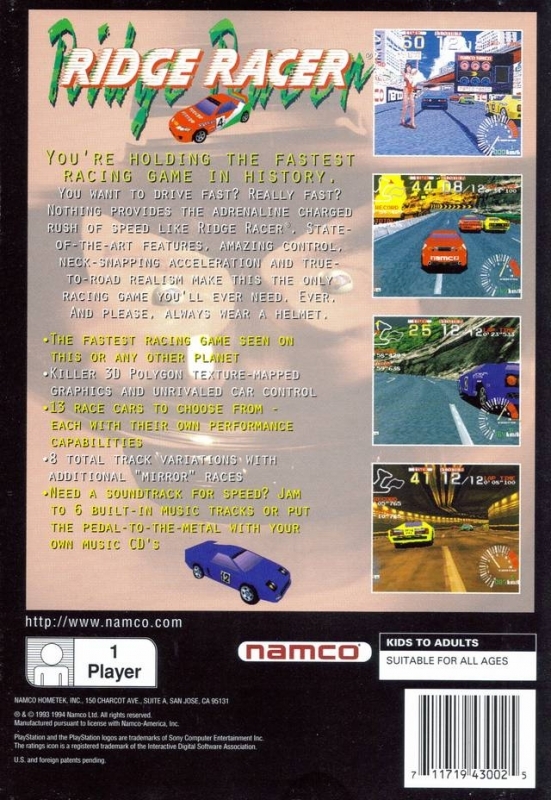 this had to have sold more than 3/4 million.